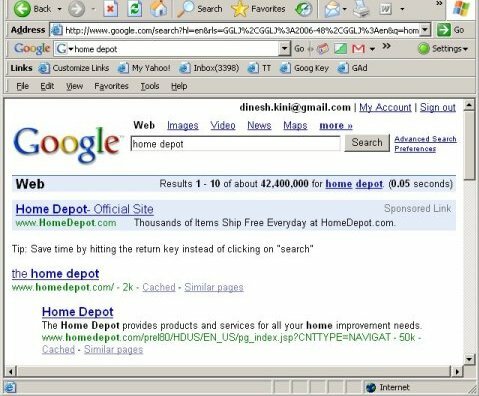 Home Depot - I searched for Home Depot in Google and the number one position is the Home Depot Website and no other advertiser is even placing ads for that keyword. However, a Home Depot ad appears right above the Number 1 position. I am sure a large number of users probably click the sponsored link causing Home Depot some loss of adversting revenue that it could have easily avoided. 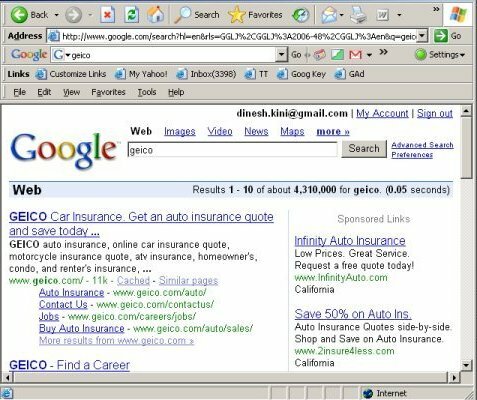 Geico - In this example, I search for Geico and it has the number 1 position and there is no sponsored link for Geico. 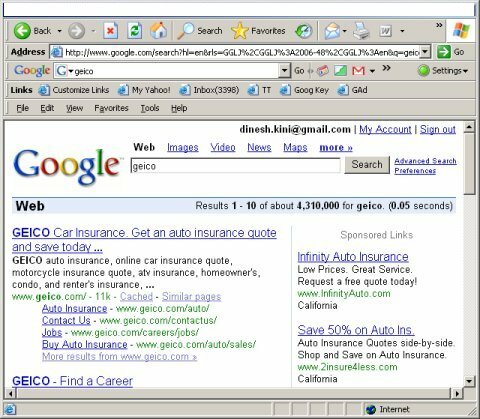 Car Insurance - In this example, I searched for Car Insurance and you will suddenly see the amount of competition for the keyword and Geico is right on top of the sponsered list. Geico does come in second in the listing and since they are a large company with large budget, fighting for ad space with a number 2 ranking may be worth it for them. If you are a smaller site with limited ad budget, I would be very careful not to waste my money on keywords where my site comes on top.